PHL Live Center Stage is back for its fifth season! 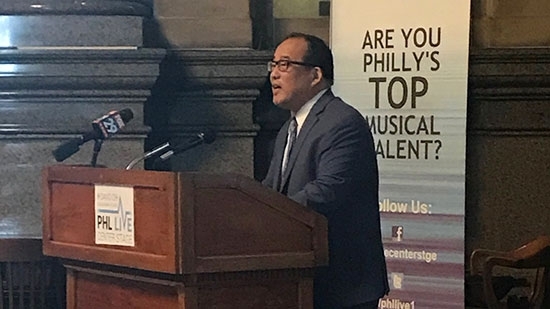 Philadelphia City Councilman-at-large David Oh announced at a press conference at City Hall on August 15th that this year's music competition/showcase submissions are now open. The past four years, hundreds of talented Philadelphia area artists/musicians/bands have submitted applications. 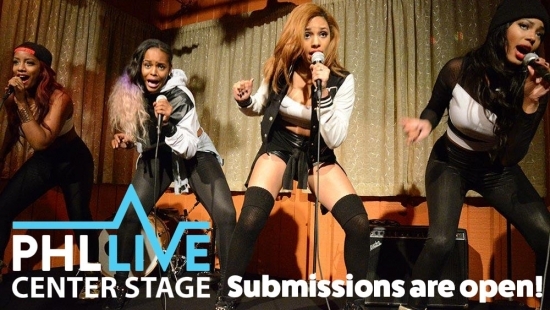 Each year five finalists in each of ten genre categories performed at showcases around the city in front of judges and winners were announced at a final award show at the Trocadero. It has been a success by any definition. Our city is teeming with talent and rich in musical history. The music scene and industry as a whole in Philly has found itself in a resurgence and is reemerging from the golden era of 30 or so years ago. One thing that stands out as an area in need of improvement is many artists tend to leave the city to make it because the industry better supports them in other places. Not only does PHL Live find new and exciting talent in our community each year, but it brings together many people from the music industry and helps builds that creative economy and support system. PHL Live is a music initiative created by Councilman-at-large David Oh, Chairman of the Committee on Global Opportunities and the Creative/Innovative Economy. He recognized an opportunity to engage the entire music scene and help promote up-and-coming artists and the creative economy. Artists across multiple genres (Jazz, Country/Folk, Rock, Pop/Dance, Hip Hop, World, R&B, DJ, Gospel, Classical) will get the opportunity to perform at top local venues for a chance to win cash prizes, studio time, performance opportunities, and more. The music festival/talent competition supports local talent and helps them gain exposure but it also brings together many facets of the Philadelphia music community. Recording studios, music venues, media outlets, promotions, service providers, etc. are all working together. By supporting artists and by growing cohesion between the different facets of the music scene, the music industry here in Philadelphia can keep the great talent here in the city. Artist Registrations started on Wednesday, August 15th, 2018, at http://www.phllive.org. Submissions are due by October 15th. iradiophilly is proud to sponsor PHL Live Center Stage 2017 for the 5th year. Once again we will be broadcasting each of the 10 genre showcases live as well as the final award show. Dates are to be determined. Philadelphia City Councilman-at-large David Oh announced on August 15th at a press conference at City Hall that this year's music competition/showcase submissions are now open.